The next phase of your new office fit out are the authority approvals. Most office fit outs need authority approvals of one short or another. Finalise any authority approvals between the design and the construction phase of your office fit out. The process can take several weeks, so allow for this in your timeline. Fitting out a new office space is subject to approval in a similar way to a home renovation. 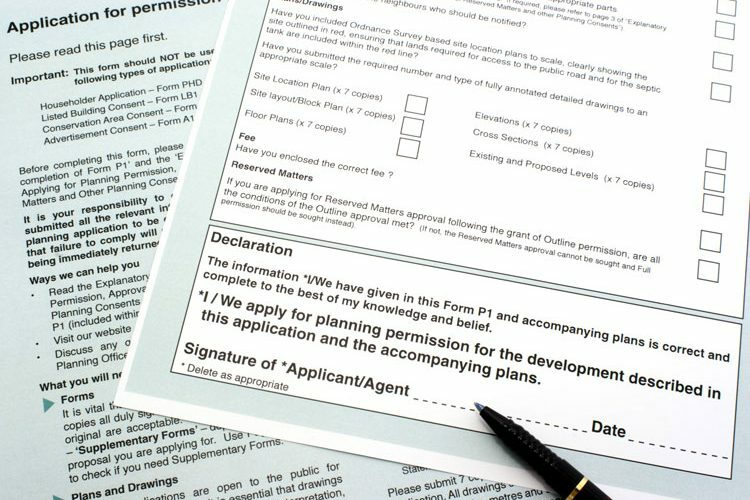 The first authority to provide approval is the building owner or building manager. They will unlikely sign a lease until they have seen and signed off on design plans for the new office fit out. After approval from the building owner, you will either need a DA (Development Application) or a CDC (Complying Development Certificate). This will ensure your office fit out meets local building standards. The local council issues a DA. A change of use for a building requires a DA. For example if the premises are being used as an office for the first time or if work is carried out on a heritage listed building. After receiving the DA approval you will need a Construction Certificate (CC). This confirms exactly which changes will be taking place. A a private certifier issues a CDC and it is generally less complex. Apply for a CDC when there is no change in the building use. For example if you are moving into an office space vacated by a similar organisation. On completion of the office fit out an Occupational Certificate confirms the works outlined in the CC or CDC are up to standard. Some works are exempt from approvals, such as some equal access upgrades. Your fit out company will be able to advise you whether or not the works you plan to undertake require sign off from relevant authorities. Once the building owner has signed off on your office fit out plans and your lease, your next step is to lodge approval forms, paperwork and designs for your new premises to the appropriate regulatory bodies. Unless they own the building, the builder cannot lodge a request for a DA, CC or CDC. However, they can assist you with the process. The approval process can take several weeks or even several months in the case of a DA. Once you have filed your approval applications and paid the relevant fees, a council representative or a private certifier will carry out the approval process. If your office design has not been pre checked (an experienced fit out company would check for compliance in advance) this may raise some red flags which may send your design team back to the drawing board. When you have approval in writing you can start the construction process for your new office fit out. Contact us to find out which authority approvals are required and what you need to do to complete the process. Stay tuned for The Ultimate Guide to Office Fit Out Step 11, Service agreements.